It is the most famous American muscle car and one of the best selling Ford vehicles of all times. 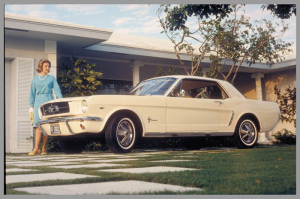 It is the first pony car ever made, which is the class of cars made around this and few other models like: Chevrolet Camaro, Pontiac Firebird, Plymouth Barracuda etc. All these cars were made to compete with Mustang and they are all coupes with long hoods and short rear decks. First model was introduced in mid 1964, as the 1964 1/2 model. It was presented on the New York World’s Fair. Car went through six generations and it is the only pony car that was produced without interruptions for all these years. There is a lot of nice updates in the new model. For the first time design studios from England and Australia helped with the new model’s design. One of the biggest news for the new model year is that is going overseas, and it will be sold in right-hand drive markets, such as UK, Japan and Australia. It will also have independent rear suspension for the first time. When it comes to engine technology, it will come with EcoBoost and we expect higher performance figures. Only bad thing is that fuel economy got worsened comparing to the last year’s model. New model comes with improved styling that feature shark-bite front and new grille that has trapezoidal shape in this model. If looked from the profile it is obvious that Ford decided to bring its fastback shape back. It is much sleeker than in previous model years. It also comes with wider rear fenders and lower roof. In the rear it comes with three bar taillights and rear splitter that is made in the same color as the car’s body. Convertible version, lost its fastback look, because of the convertible top. Cabin received increased size in the new model, because of the wider vehicle stance. There is more leg and hip room in the back seat. Front part of the cabin looks like a pilot cockpit, it comes with a retro steering wheel with big silver Mustang logo, and more room. Trunk is also bigger and it can fit two larger bags. 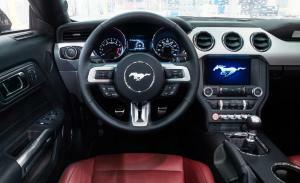 2015 Ford Mustang comes with 3 engine options. Base version comes with 3,7 litre V6 from last year, but we expect to see a minor power boost, since Ford announced it is gong to come with at least 300 horsepower and 280 pound feet of torque. GT version comes with larger and more powerful 5,0 liter V8 that received a lot of updates in this model year, from larger valves, rebalanced crankshaft to higher rpm and sinter-forged connecting rods. With all this it will come with 15 more horsepower than last year’s GT, so we can expect 435 horsepower and 400 pound feet of torque. This engine is the 2,3 litre EcoBoost whose main purpose is to offer base version or little bit more power with increased fuel efficiency. It comes with 310 horsepower and 21 mpg of fuel economy in combined conditions (17/28, city/highway). 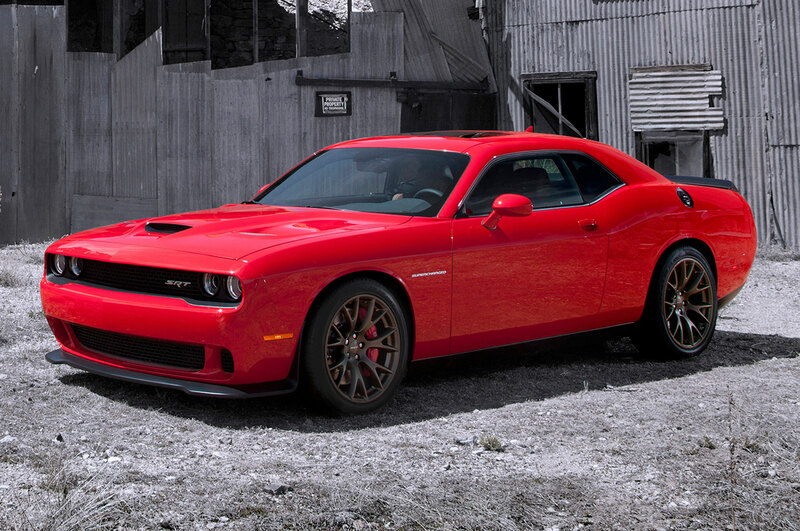 This car few has a standard rivals in the pony car market. Its main competitors are Chevrolet Camaro and Dodge Challenger. Camaro won’t receive bigger updates for next two years since it had a major redesign last year. It comes with slightly more powerful engine in the base version and less power V8 engine option. Challenger is different from these two models because it comes with design that looks much more retro. When it comes to engines its base version equivalent has almost the same power as Mustang’s V6, but its HEMI V8 is drastically less capable. Price for the new model will start from $24,425 and it will go up depending on the trim package buyers choose. Least expensive EcoBoost package will cost $25,995, while the least expensive GT will cost $32,925. 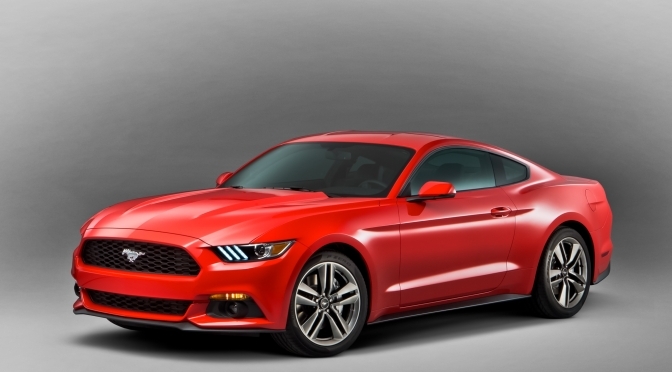 2015 Ford Mustang GT 50YR Limited Edition is the most expensive GT version and it can be bought for $46,995. 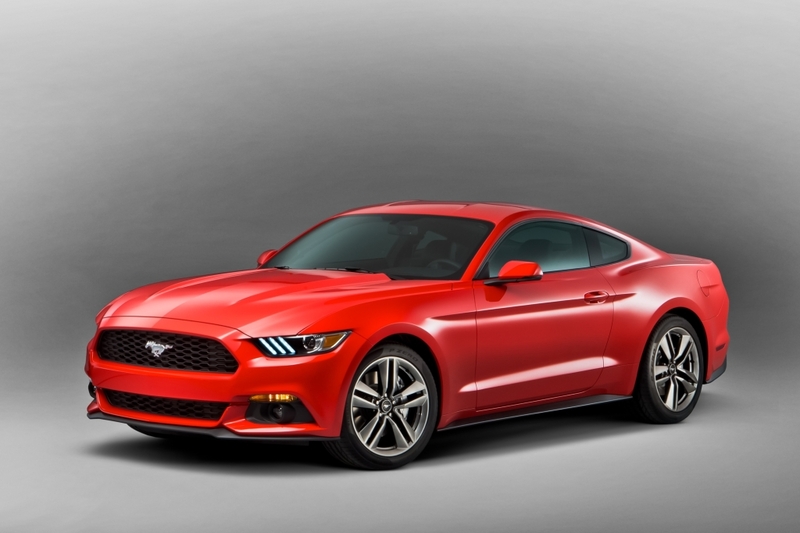 Car insurance for regular Ford Mustang in Michigan, the most expensive state when it comes to car insurance will cost you $2,419, while for the GT version you will need to pay $2,702. In Ohio, the lest expensive state to insure your car, regular Mustang car insurance will cost you $872, while the GT owners need to pay $953 for the convertible and $961 for the hard top version. Did you know that this vehicle received its name from World War 2 fighter plane, since the executive stylist that worked on its concept, John Najjar was a big fan of World war planes, especially P-51 Mustang. In 1962 one of concept vehicles were driven on the United states Grand Prix, by the popular F1 driver of that time Dan Gurney. In Navy recruitment add in the late seventies, 1967 Ford Mustang was mentioned as one of the three things worth fighting for, together with The Beach Boys and an apple pie. 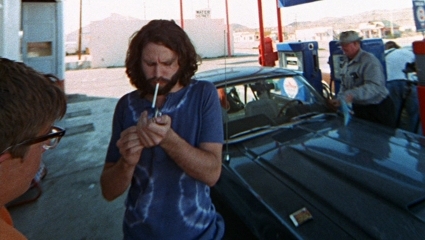 It was seen in many movies, most famous one being: Gone in 60 Seconds, Diamonds Are Forever and Bullitt. ”Mustang Sally” is a song from Wilson Pickett about a guy who bought this car to his girlfriend, but she didn’t appreciate the gesture. Some celebrities that drive this car are: Jay Leno (Shelby 350 GT), Bill Clinton (1967 convertible), Charlie Sheen (1966 GT and 1968 Shelby), Patrick Dempsey (1965 Coupe), Jim Morrison (1967 Nightmist Blue Shelby GT500). Kelly Clarkson (2007 GT), Funkmaster Flex (2006 GT), Tim Allen (1965 Shelby GT500), Bob Seager (1969 Shelby GT350) and Sammy Hagar (1967 Shelby GT500). What Girls Think About Ford Mustang? We asked one aspired photographer on her opinion about the new model, and she said that she sees power, strength and muscle in the new model. She said that it brings back ”muscle” in the muscle car class and since she works as a photographer for a long time, she really has an eye for the obvious. Another girl we asked about this car is a my friend who’s a lawyer. She also likes this model a lot. Silver horse sign reminds her of the old times and action movie stars. Although Ford tried to make the new model modern and futuristic, somewhere between the lines each Ford Mustang model comes with a dash of retro, which wasn’t missed by this lawyers watchful eye.